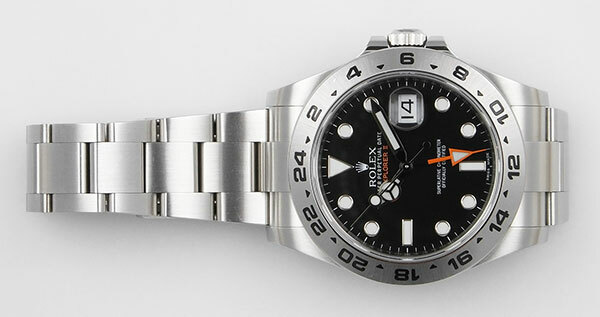 Gentlemen's Rolex Explorer II in stainless steel with Black dial. 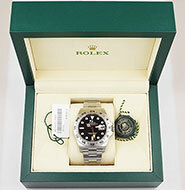 Excellent condition - only 1 year old and still under Rolex International warranty until 2023. 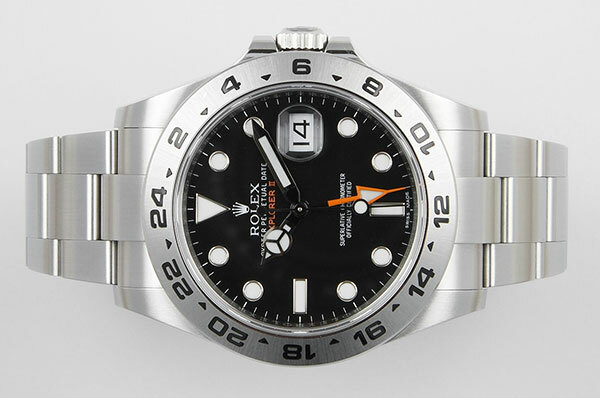 This is the current model and highly sought after with the orange text and matching 24hr GMT hand. A really stunning piece! Stainless steel case is in excellent condition with polished sides and brushed top. 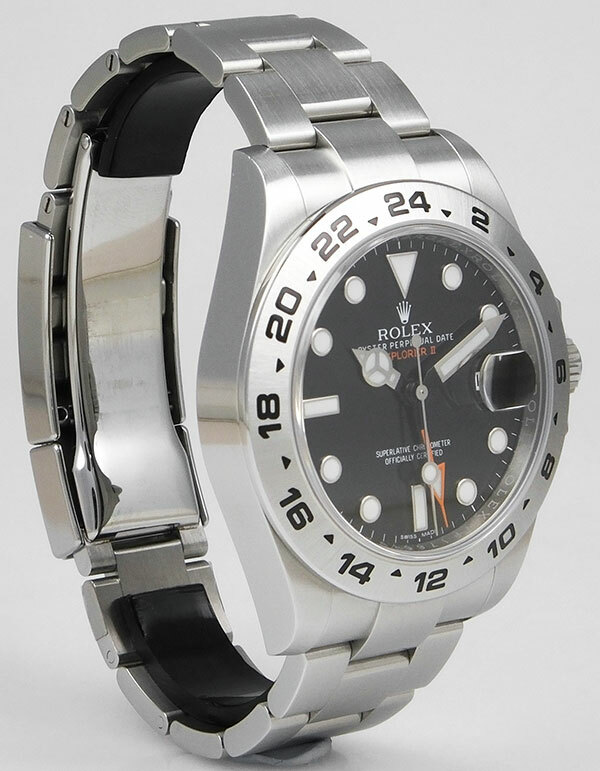 Brushed finish 24 hr marked bezel also in excellent condition. Case has a few very light wear marks but certainly not enough to warrant any kind of referb. Case ref: 216570. Serial no: 10G83xxx. 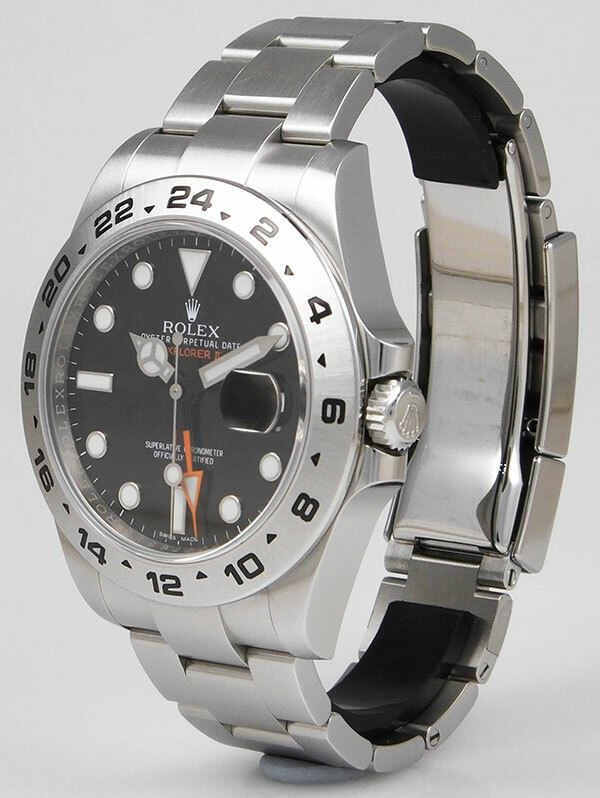 This is an un-polished example/original Rolex factory finish. 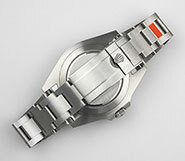 Case dimensions are 42mm (not including crown), 12mm thick and 50mm lug to lug. 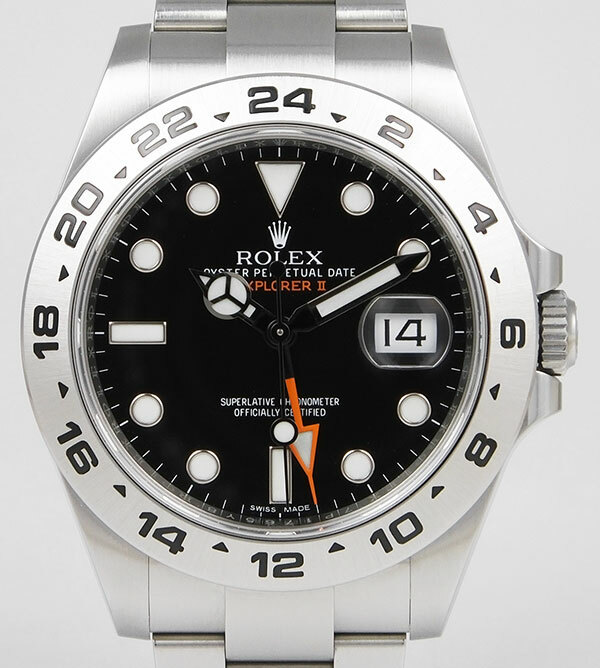 Gorgeous black dial with applied, white-gold ringed Chromalight markers and matching 'Mercedes' hands. 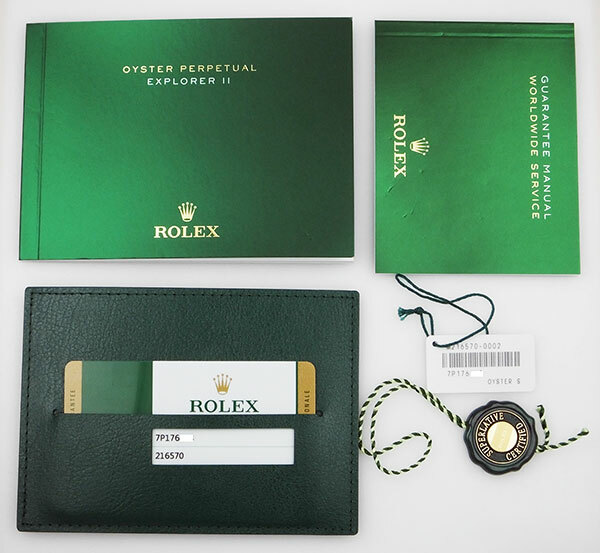 Dial is signed 'Rolex Oyster Perpetual Date, Explorer II, Superlative Chronometer Officially Certified' with 'Swiss Made' at 6 o'clock. Original sapphire crystal is perfect with no marks or scratches of any kind. Stainless steel 'Easylink' Oyster bracelet with fliplock deployant clasp is in excellent condition with ZERO play/stretch in the links - basically 'as new'. Will currently fit approx 8" wrist or can be adjusted. 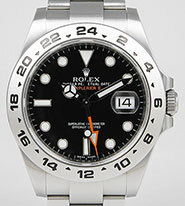 As with the case, a few wear marks from normal/light use but again, certainly doesn't require any kind of referbishment. Full retail-length bracelet. 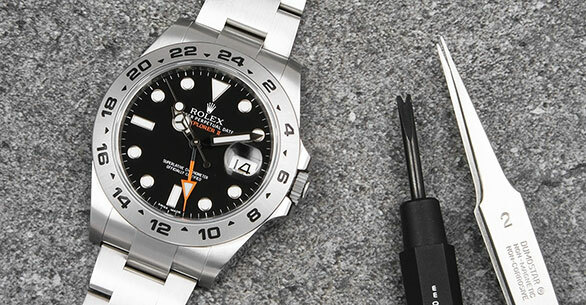 Rolex calibre 3187, Certified Chronometer, self-winding (automatic) movement. Still under Rolex International warranty until 2022 in perfect working order. 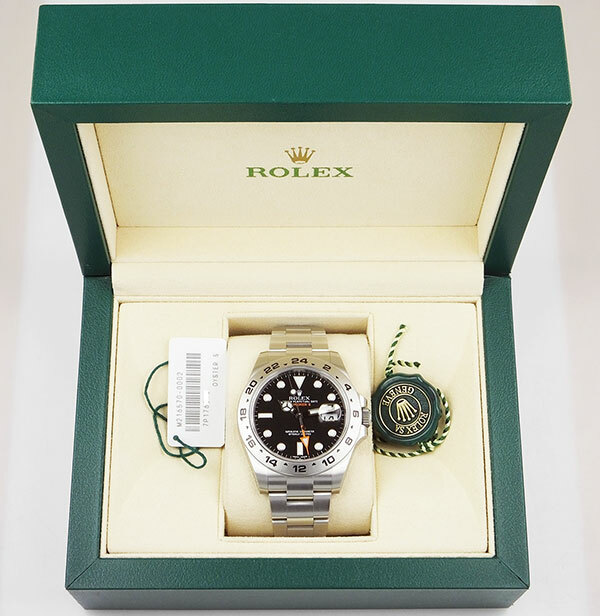 Comes complete with original presentation box, outer cardboard box, service booklet, manual and signed/dated warranty card from when it was first sold (UK sourced watch). This watch is 100% genuine and rest assured, we give a lifetime guarantee on the authenticity of all the watches we sell. 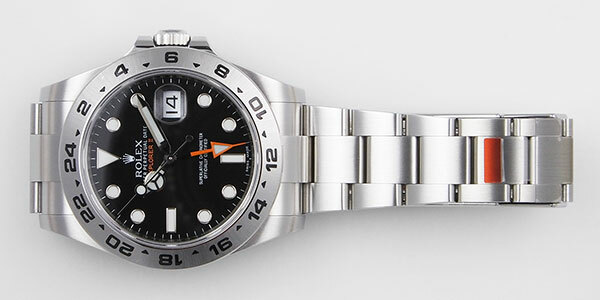 © 2004 - 2019 Sanderson & Son Fine Watches Ltd.